It seems that just about everything Chris Pratt did this year went viral. The guy who was once just known as "that chubby guy on Parks and Rec" has now become an internationally recognized Hollywood star, a household name, a Marvel superhero. Everything he touches turns to adorably goofy gold, and we can’t wait to see what he’ll do next. Chris Pratt has definitely won at life in 2014. The 35 year-old started his career waiting tables at a Bubba Gump Shrimp Company restaurant at age 19. Now, he is among the A-list celebrities, though he never lets it get to his head, always acting like an average joe. But this average guy has had quite the year. Starring in a few blockbuster films while juggling being a father is no easy task, but leave it to Pratt to make balancing fame, family, and saving the galaxy look easy. Pratt has an exciting future ahead of him and watching him grow from hysterical TV star, to a Hollywood king in one year has been quite the ride. With his newfound fame, Chris Pratt got the opportunity to throw the first pitch at a Chicago Cub’s game. And despite the badass fighting skills he shows on screen as Star-Lord, and even his time playing a baseball player on Moneyball, Pratt is not quite as athletic in real life. He totally misses the catcher at home plate, and while it is totally a ‘womp-womp’ moment, he still is able to win us over with a quick ‘oops’, shrug of his shoulders, and adorable smile, not to mention he styled an awesome Groot hat during his time on field. Pratt even went on to sing the National Anthem at the game, and the moment equally went viral. His humbled excitement for being given the opportunity to meet his favorite baseball team is incredibly endearing. Rapping Eminem’s "Forget About Dre"
During an interview at Shade45 with DJ Whoo Kid, Chris Pratt revealed that he is quite the rap fan. He admitted that back in his day, Dr. Dre’s Chronic 2001 was his favorite album, referencing it as his own "Peter Quill mix". But it is one thing to say you are a fan of an album, or even to claim that you may know every word. And Chris Pratt is a man of his word. So to prove that he really did know every word, Pratt spit some rhymes. Specifically, he rapped "Forget About Dre" word-for-word, and it surprisingly sounded great. Could Pratt have a music career ahead of him? He’s already proved to be a rockstar in Mouse Rat (Parks and Rec), but his speedy rapping skills are even more impressive. And while showing off his super-skills, he also got super nostalgic, proving that Pratt is just a normal dude we all wish we could hang out with. This may not be a big deal to anyone other than Parks and Recreation fans, but I guarantee, if you’ve seen the show you know what's up with Mouse Rat. Mouse Rat, otherwise known as about 50 other names, is Chris Pratt’s character, Andy Dwyer’s band. They are group of goofballs, but all love to play music. And after they split up, Andy had been playing on his own, and really missing the band. So when the opportunity arose, at of all things a Unity Concert, the band got together. And watching Chris Pratt's childlike excitement as he gets on stage with his former bandmates will melt your heart. Also, since Pratt had been off filming for his newly released films, he hadn’t had much screen time on Parks and Rec, so being able to watch him sing was a real treat. I would’ve wished my toys to life everyday, had I known they would turn into Chris Pratt. When Chris Pratt hosted SNL this year, the writers took advantage of his superhero-bod, and turned him into the classic 80s cartoon character He-Man. Along with Taran Killam as Lion-O, and Ariana Grande as She-Ra, the trio put on an hilarious performance highlighting the characters' uncontrollable super-strength, and equally uncontrollable super-urges. It was uncomfortably wonderful watching the unaware toys explore what "feels good". And Pratt’s goofiness was right at home on SNL, you could barely notice it was his first time ever hosting. Though Jurassic World isn’t set to premiere until June 12, 2015, we’ve already got a glimpse at the role Chris Pratt will play in the film. And the trailer alone has already got us excited. What makes this trailer particularly special to the year of Chris Pratt, is that Pratt is a diehard Jurassic Park fan. He has dreamed of this role. To see him fanboy his own film is something of pure magic. Plus he already has a rockin’ performance in the trailer. He plays the seemingly sane character in the film, who respects the power of the dinosaurs, and is afraid for the safety of the amusement park visitors when a new man-made hybrid gets loose. Ever since the trailer dropped a month ago, we’ve been counting down to see Pratt on the big screen once again looking like the teddy-bear dreamboat that he is. 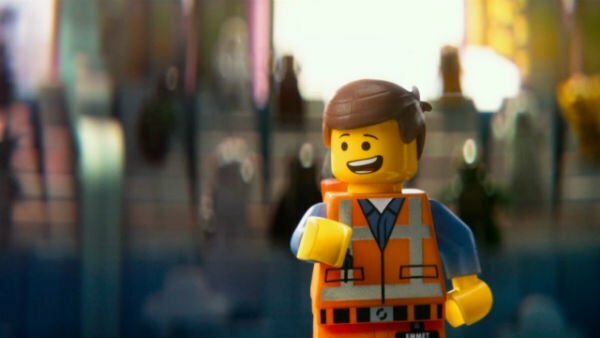 This year we learned that "Everything is Awesome" in the film The Lego Movie, especially when Chris Pratt voices the main protagonist. Emmet Brickowski, a simple Lego man from Bricksburg has his world flipped upside down when he is mistaken for "The Special". And Chris Pratt’s lovable and quirky voice adds to the character, and to the plot. He plays the perfect Emmet Brickowski, which has some similar characteristics of naivety to his character Andy Dwyer in Parks and Recreation. And since The Lego Movie had such a wide reception (it’s a kid’s movie, but also adults love it!) it gave every age a taste of that Chris Pratt charm, even if it was only through his voice acting. 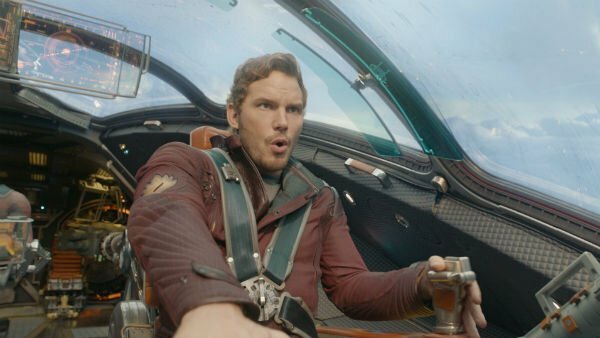 Chris Pratt won our hearts this year with his goofy-yet-badass portrayal of the beloved comic-book superhero, Star-Lord in Guardians of the Galaxy. Before we even saw him on the big screen, we had heard about his dedication to the character, losing serious weight and bulking up for the role. From his opening scene as we watched him dance to jams on his Walkman to saving the galaxy, Star-Lord was an unforgettable character. And what makes this Chris Pratt role even more incredible, is that no one expected it from him. The TV character actor did have some film experience but nothing remotely close to a leading role in a huge Marvel blockbuster. Other than the diehard Parks and Recreation fans, most people were a bit confused at the casting. But Pratt’s performance was the perfect combination of silly and sensible, and he has earned the recognition as our Star-Lord.